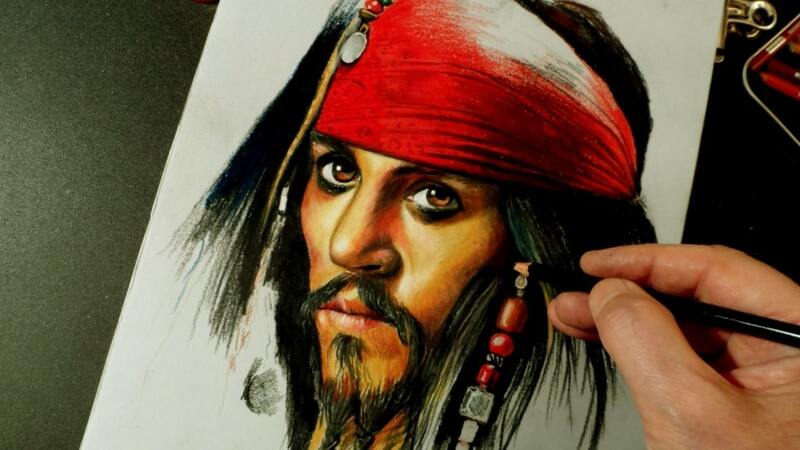 Movie Tells … Reality Shocks: Who’s Jack Sparrow? Do you know the Pirates of the Caribbean? Did you hear before about Jack Sparrow? I am sure that you definitely know him. He was a famous pirate who had a funny character and a strange look. Sparrow was drunk, always carrying a bottle of wine and he loved women…or was he?! Well…. forget all what the movie said! Are you baffled? This is the target! Leaving Hollywood movies aside, the real name of Jack Sparrow is Jack Ward. He was born in the UK, then he fled to Tunisia in the late 16 century as he and the crew of his ship converted to Islam. He was called Sparrow as he loved and accompanied a sparrow. After converting to Islam, he quitted drinking alcohol forever and changed his name to Yusuf (Joseph). After converting to Islam, one emerges from his or her sins as they were the day they were born. God is the All-Forgiving as He forgives who repents. But people don’t forget one’s past. The movie maker forgot all the good sides in Sparrow’s character and just focused on his habit of drinking alcohol that he has already quitted. The movie presented him as a madman with a very weird look and personality. They made fun of him to ruin his reputation . Thanks to the media for making Sparrow a very familiar name, but no thanks if it doesn’t make you curious to know his reality. Regarding his early life, a pamphlet written by a fellow sailor, as well as numerous songs and ballads, offer a glimpse into his life, his mannerisms and physical appearance. At the time of England’s invasion, attempt against the Spanish Armada had recently failed. When the war came to an end, so did the duties of the privateers, however most of them did not want to leave their livelihoods of plunder. Thus, Jack Ward returned to his hometown. After a short period of time, he was under pressure to accept a new task requested by the King. Still, he didn’t choose the legal route, choosing instead to desert his colleagues in exchange for a completely new life. Jack became one of the most infamous and fear-evoking pirates. Later known by his nickname Jack Birdy, this young man quickly became famous among all sailors, especially in England, where balladeers sang about him. While attacking merchant ships in the Mediterranean, Jack Birdy made arrangements with a Muslim sailor to use a naval base in Tunisia which would allow him to capture more merchant ships more easily. After this quest, he asked for a royal pardon from England’s James I but his request was denied. He was forced to return to Tunisia. Osman Dayi (who held the highest title of the Ottoman Empire ruler in the Algiers region) offered a safe haven to Captain Jack in Tunisia and Osman Dayi kept his word. The next year, Captain Jack converted to Islam with his entire crew and he started to be known as Yusuf Reis. Sparrow was not a very liked hero, as he helped Muslims and Jews trying to escape Spain due to death threats. In Andalusia (now known as Spain), the Islamic rule then has just collapsed . Muslims and Jews experienced one of the barbaric genocide by the Inquisition to force them to leave their religions and convert to Christianity. Sparrow played an important role in rescuing Muslims and Jews. As he sailed at night to the coastal shore of Spain and carried a number of Muslim and Jew captives and moved them to Algeria to rescue them as fast as possible. Was it “mission impossible”? Yes, it was. To what extent Sparrow was human! He is one of the bravest men that I am really proud of. He really deserves to be known for his legendary personality. Sparrow’s reputation was ruined just because he changed his belief and moved. Where is the freedom of belief that the media always speaks about?! Sparrow isn’t the only person who experiences attack from the media …For instance, do you really know Captain Barbossa or even who is the real Zombie? Our coming articles will talk about these people … My only demand is don’t always believe what the media says. Seek the truth on your own.